What's a Flash Sale? It's a sale for a very limited time. 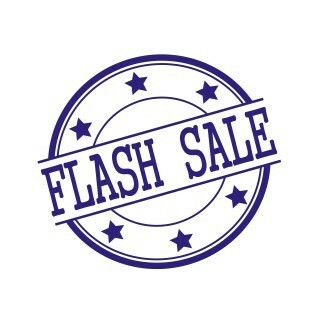 In this case, we're having a Flash Sale on training - 50% off our normal price for one-on-one training. But the sale is on for only three days - Wednesday, Thursday and Friday, March 29-31, 2017. Got your list of "how to" computer questions? This would be a great way to have some personal training. If you live on Florida's Treasure Coast, the training can be in your home. If you live anywhere else, the training would be via Remote Support and telephone. Don't miss this opportunity to purchase training at half-off. Just click HERE to get started. Thanks for all the well-wishes regarding my cold. Except for a nasty cough, I'm pretty much over it. We all hate colds and the flu, don't we? I know there's a box with a yellow border above telling you of our Flash Sale but I want to encourage you to read about it - just in case you skipped over it. There's still time to save on some awesome Easter gifts for family and friends. Just click on the banner to see what Stew Leonard's has to offer in the way of great gifts! Question: "I want to get started in Social Media. Which Social Media platform do you recommend?" Answer: It was a little surprising to receive this question as there's almost no one who isn't on some Social Media site. People in their 70s, 80, and 90s are pretty much at least in Facebook. Still, since the question was asked, I'm going to answer it! In terms of comfort, Facebook is probably the best Social Media platform to use. It is easier to control who sees what and who can be your friend or follower. If you're into photography, then Instagram is a great platform for sharing your photos and for seeing photos from all over the world. Instagram is pretty easy to use but a little more difficult to control who follows you. If you want to learn more about Social Media, visit our webinar page where we have webinars on many of the platforms. Just click HERE and then scroll to find the Social Media platform you want to learn about.